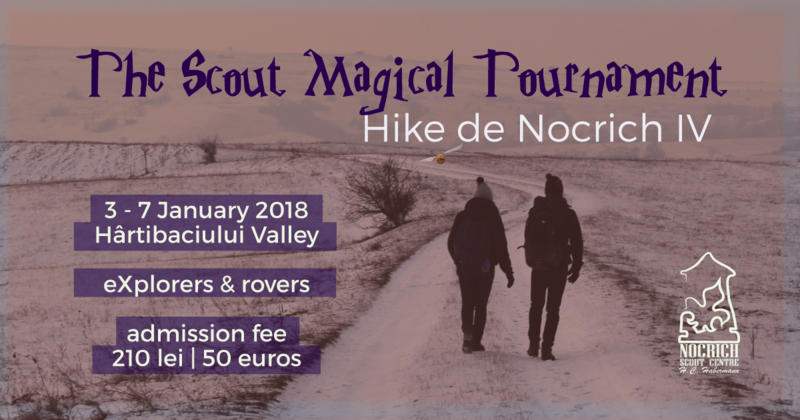 Discover the unknown during Nocrich Winter Hike 2018! 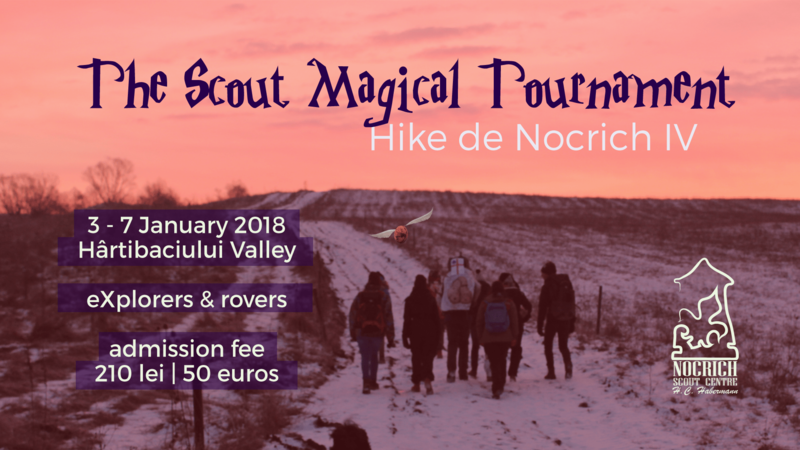 The 4th edition of Nocrich Hike is challenging you to discover the unknown between the 3-7 of January 2018! We know that at the beginning of a New Year people usually stay around their home, with their friends and family, but you want something different, more challenging, don`t you? We are telling you to put on your backpack, bring your friends to Romania and start off a new adventure which will give you the courage you`ll need to explore more in the following year. What, hiking with no map? Yup, it`s true, you really won`t know your final destination. promise we`re not sending you in the unknown unprepared. We will first teach you how these creative and different techniques work, then you will apply them on a shorter test hike of a few hours. In the end, you`ll be prepared for the real adventure, which will last for 2 days. Sometimes, you`ll need a compass too, but most of the time what will help you find your way is efficient team communication, creativity and logical thinking. Our Nocrich Family volunteers love stories, so it`s no wonder that the whole adventure is based on one. There are stories one can never forget, and so we`ve chosen an eternal one: the universe of Hogwarts. We all want to live in Harry Potter`s world and this is our chance. There`s just one problem: nowadays the muggle world keeps changing. As wizzards, we have to learn how to adapt to this new society without being detected. Unfortunately, Hogwarts is now in danger, as it became overcrowded. Therefore, we will be the first of a new generation, studying in a novel school, specialised in Muggle Studies (its name must remain secret to all but those who find it). However, rumour has it that Harry, Ron and Hermione will be among your teachers. They will teach you how to fit in the muggle world without giving away your secret wizard identity. Are you scared of getting lost in the unknown in winter conditions? Well, we were as well, in the beginning. But we made our best memories while wandering around, trying to get back in the right path. During Nocrich Winter Hike you have all the freedom to discover special places around the Hartibaciului Valley and it will all be like never before: the snow, the people, the challenge…all of it will make you see the surroundings in a new perspective. For your admission letter to our school (Nocrich Hike IV), the stamp tax (participation fee) is 50 euros/ person. This tax includes: 4 nights of accomodation and facilities in the house (in the magical dorm of the wizards’ school), 3 meals/ day on the 4th, 5th, 6th, dinner on the night of the 3th, breakfast in the morning of the 7th, your wizard ID (badge/ scarf ring) and materials for the hike. Confirm your admission by completing the following registration form until the 1st of December, 2017. Are you ready to explore the unknown?